Dominique Rolland studied sculpture at Université du Québec à Montréal from 1974 to 1979, and then earned a master’s degree in management of cultural organizations at Hautes Études Commerciales de l’Université de Montréal in 1998. 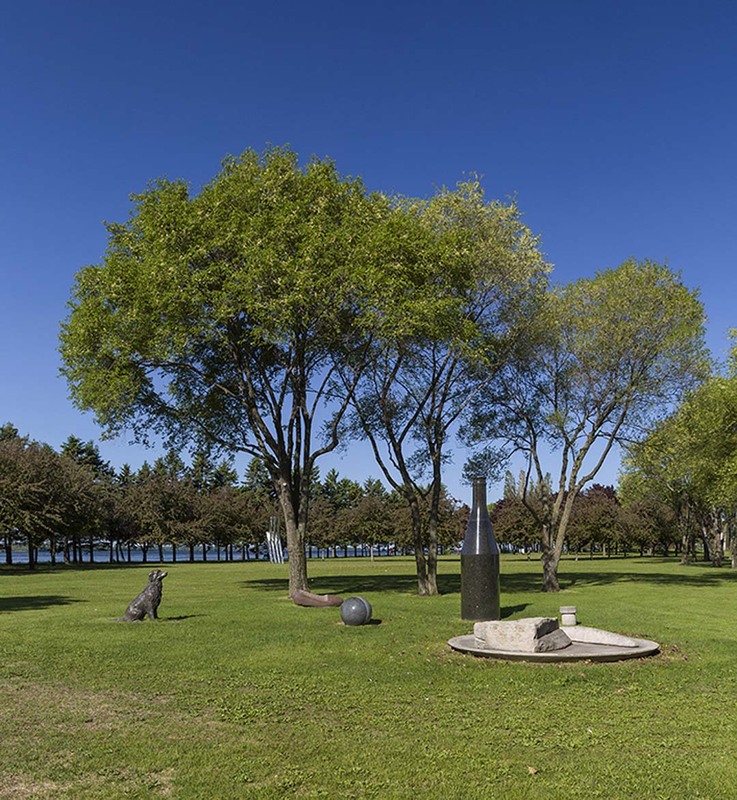 He founded the Centre des arts contemporains du Québec à Montréal in 1983, and for a number of years he coordinated sculpture events for the Ville de Lachine. 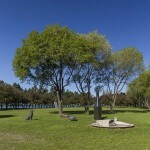 A number of Rolland’s artworks are in public and private collections: Les Arts Verts, the Ville de Melun-Sénart in France, Université du Québec à Montréal, and the Musée d’art contemporain de Montréal. 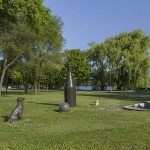 The artwork, presented in Parc René-Lévesque, is composed of seven figurative elements: a napkin, a woman’s shoe, a ball, a sitting dog, a plate holding cheese and bread, a bottle, and a cork. The elements were made with various materials (granite, Indiana stone, concrete, bronze) and on different scales, without any relation to each other. The theme of a picnic breakfast has received numerous interpretations by well-known artists throughout the history of European painting. The most famous is the one by Édouard Manet, produced in 1862, which caused a scandal when it was exhibited in Paris. Paul Cézanne painted an interpretation of the same subject in 1876–77, and Claude Monet painted his own in 1885. 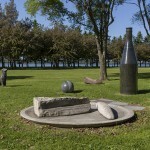 Dominique Rolland’s sculpture refers to this history of late-nineteenth-century painting and the ruptures it instituted. He transposes the pictorial subject into a three-dimensional space by bringing attention to bear not on the guests but on the elements that formed the meal. By this displacement, he encourages attentive observation and asks the viewer to imagine different scenarios for bucolic scenes.